Amazon is offering Up to 57% Off Laundry Essentials as the Gold Box Deal of the Day! This offer is valid today only or while supplies last. 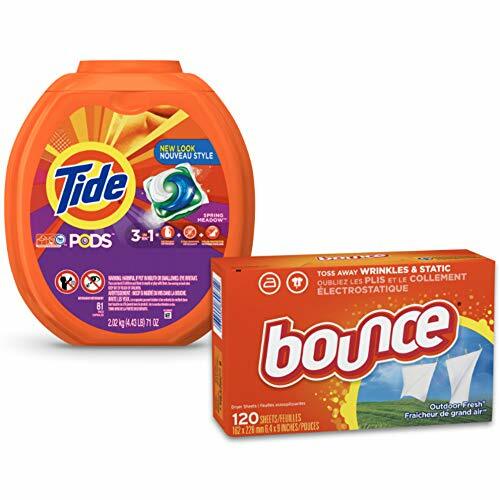 Just one of the deals included is Tide PODS 3 in 1 HE Turbo Laundry Detergent Pacs, Spring Meadow Scent, 81 Count Tub with Dryer Sheets for Static Control, 120 Count marked down to $19.10 with free shipping. Controls static cling in fabrics.